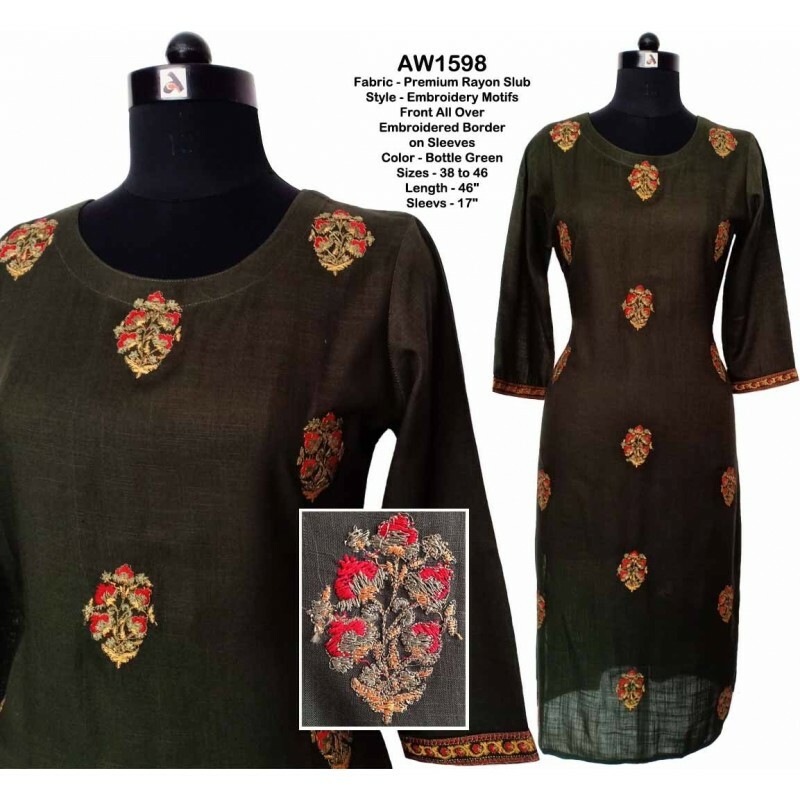 Premium rayon slub Kurti with beautiful embroidery motifs front all over. Embroidered border on sleeves. 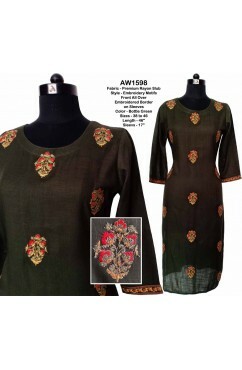 Catch the attraction of every one around you with this stylish and trendy kurti. Designed with absolute perfection, giving you the comfort & ease in every thing you do. And you will surely be complimented for your rich sense of style. Only high quality fairly priced kurties are available on Anootha.com. Even then, if you don't like after purchase, simply return the unused dress and we will refund the money as Cashback Voucher to use for your next purchase.